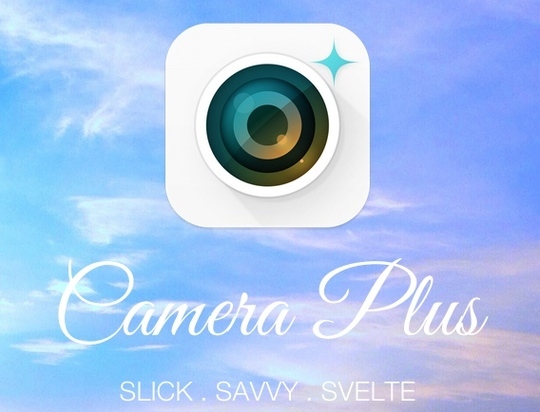 Camera Plus from Global Delight Technologies is a camera app for the iOS, but unlike the many others available, the focus here is on simplicity. It has the standard features you’d expect like flash on/off/auto, a timer and burst mode, but it has a few extra features not present in other camera apps that make it fun to use. The camera’s default settings should work for most users, and the on-screen grid helps in composing shots. If necessary, you can set the timer in increments of 5 to 30 seconds, and you can also set the burst mode from 3 to 10 seconds, and if you press the shutter button, just keep going. If the exposure doesn’t look right you can make adjustments via a slider, and then there’s AirSnap. AirSnap allows you to use two iOS devices as one: device one is the remote shutter and monitor and device 2 is the primary camera, and the app also provides the same control for the Apple Watch so if you have one, you can turn your iPad or iPhone on with your watch. To quickly turn on flash in Camera Plus, just use Force Touch, and you can use this same feature to turn the shutter timer on, flip the camera back to front or front to back and switch between video and photo mode. Camera Plus is a pretty good app and provides sophisticated editing functions while still being easy to use. The AirSnap feature is well implemented and should simplify a lot of your camera related tasks.